Applications will be accepted and test appointments will be offered year-round at over 200 Pearson VUE test centers throughout the U.S. Once authorized, a candidate may view available appointments and preferred test centers on line at www.pearsonvue.com/ptcb or by calling 866-902-0593. Locate a test center at www.ptcb.org. Call your test center to check on Saturday availability. At the completion of the PTCB Examination, candidates are notified of their pass/fail status and provided the date they can expect to receive their official score and certificate. Beginning in 2015, PTCB is implementing changes in recertification requirements for CPhTs. 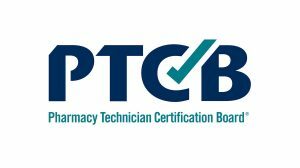 The 2015 changes are intended to ensure that CPhTs are continually educated through programs specific to the knowledge required of pharmacy technicians in today’s pharmacy settings. Click HERE to download the flyer from PTCB (Please note, they did put a hold on the criminal background check piece). Click on the following link to view more information on the PTCB website.